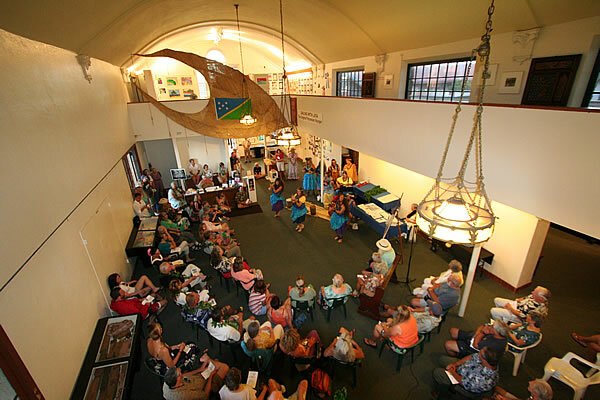 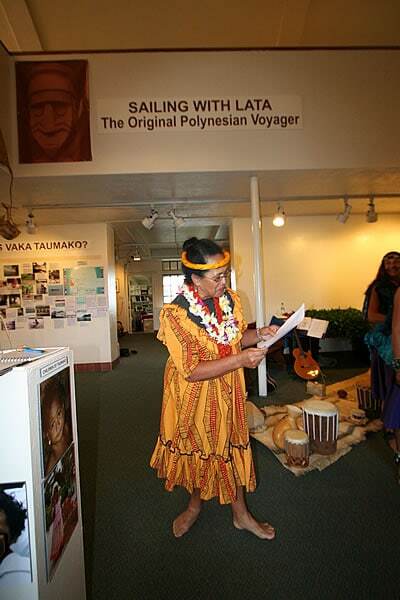 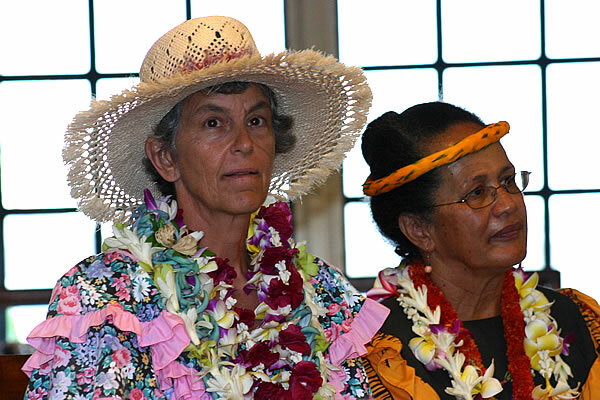 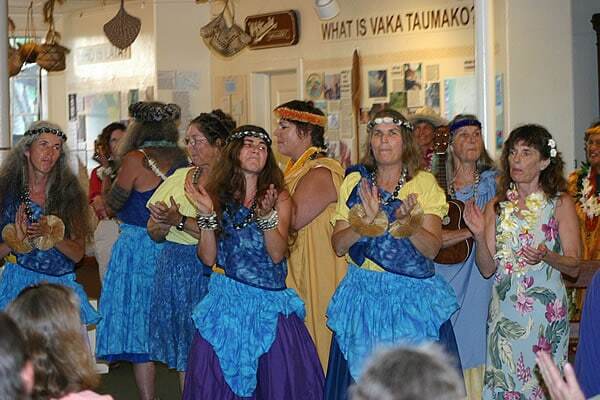 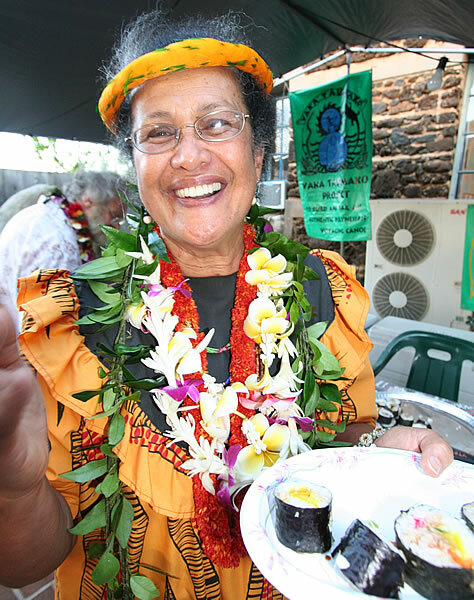 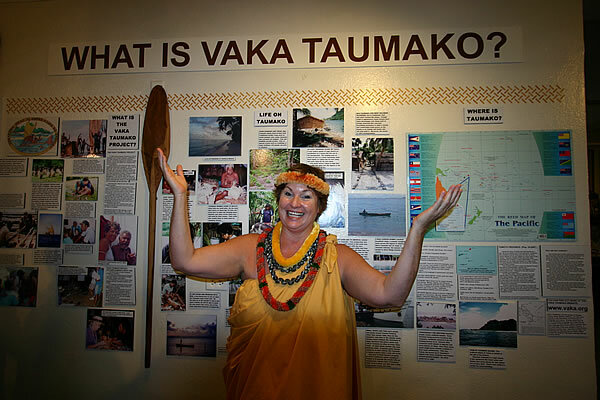 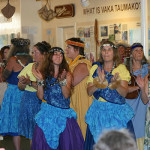 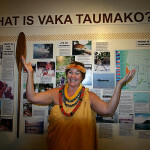 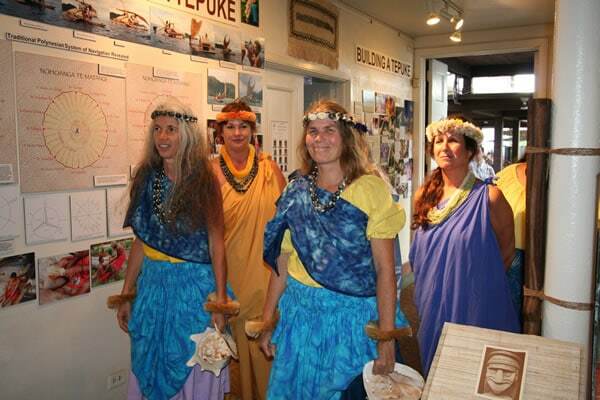 Before a distinguished company of sailors and scholars, members of Ka `Imi performed opening protocol for the Vaka Taumako Project’s “Sailing with Lata” exhibition on 27 April. 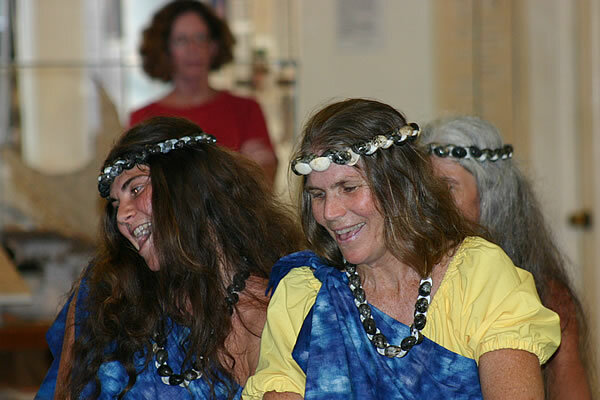 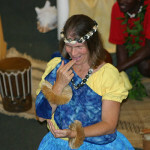 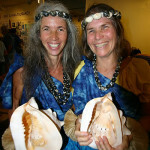 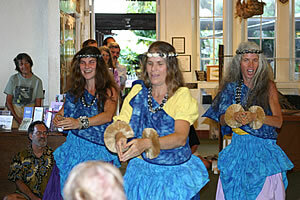 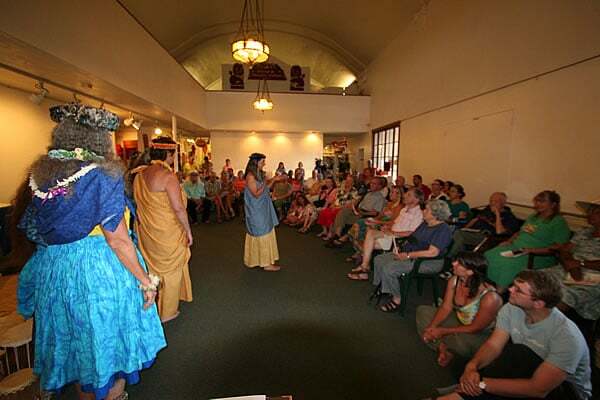 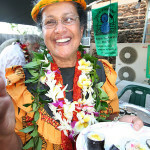 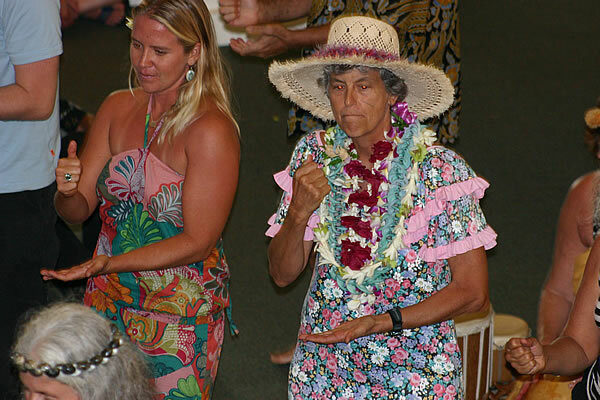 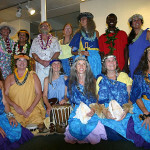 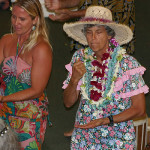 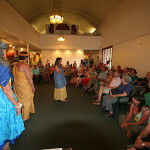 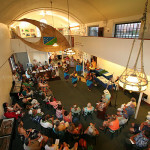 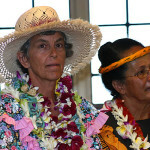 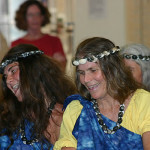 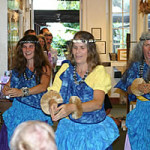 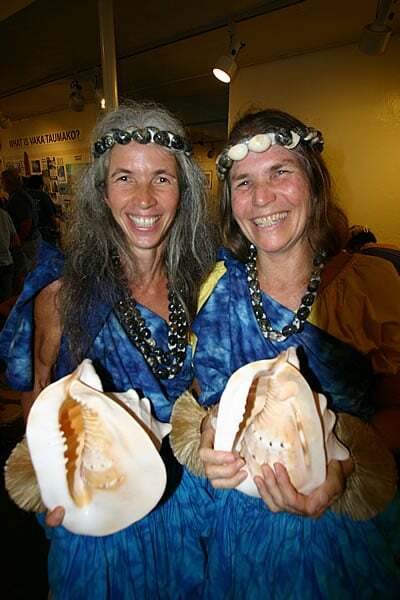 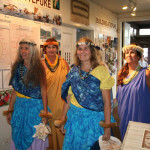 The audience included Professor emeritus Ben Finney, one of the founders of the Polynesian Voyaging Society, Ruby Johnson, translator of the Kumulipo and authority on ancient Hawaiian astronomy, a crew who had braved rough seas to sail in for the event, and several who had journeyed from even farther afield. 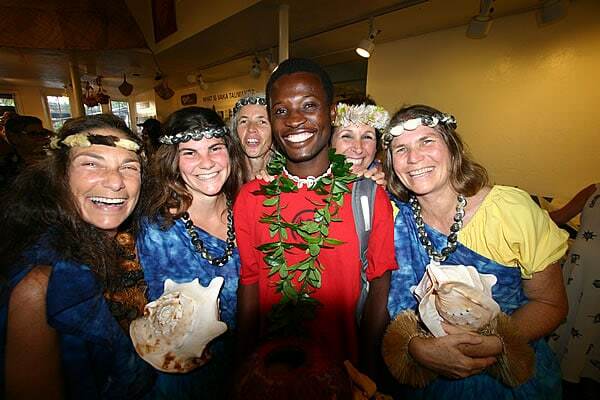 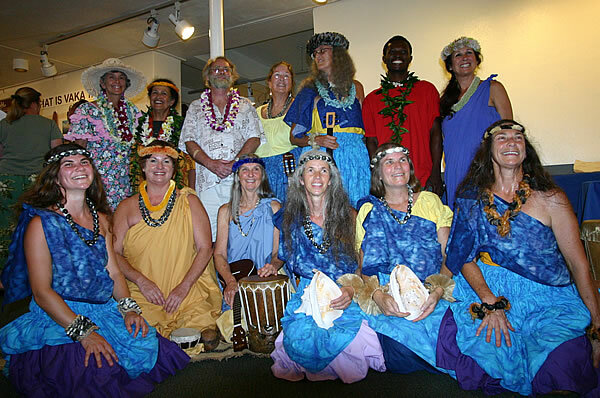 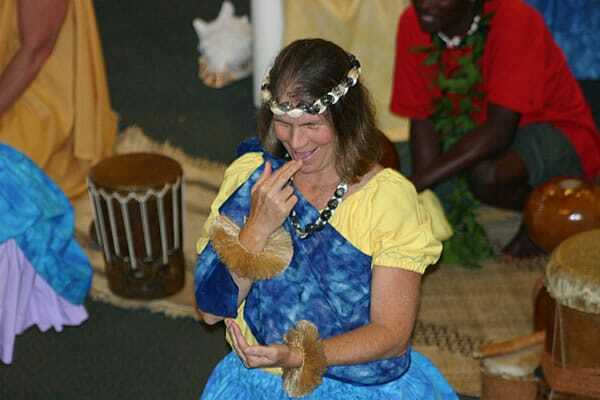 Two nations with long traditions of seafaring, Greece and Holland, were represented, but the hands down winner of the Person Farthest from Home Award was Ernest, a master drummer from Ghana who joined the ho`opa`a for “Huki i ke Kalo”. 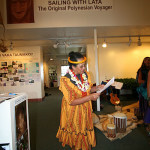 Also on hand was master photographer Tim Delavega, who has given us permission to use some of his photos of the event.